Worried about your business? Think you need a Website but don’t know where to start? Worried about the cost’s involved? Don’t worry about it, speak to us and we will advise you. If you need a website, we will design and build one for you. If you already have a website but not getting enough traffic from it, we will help increase this. It’s as simple as that. Whatever your worry is, we’re here to help! We offer excellent website design services, coding to the latest web standards and using specialist design tools to create professional looking websites. The price is one of the first things everyone looks at. Rest assured, we offer great value for money. We present a very reasonably priced entry package for domain registration, website hosting, email hosting and website design but as no two websites are the same we would look to understand your needs before giving you our quote. Deciding to commit to a website is more than just saying “I want one” so we will help you every step of the way. From registering your domain name (which in itself is a very important step now a days) through to deciding exactly what you want to accomplish and get from your website. No website is too big nor too small for our development team. Not sure on the type of Website you need ? If your unsure about the type of website you need, no problem. We will meet and discuss your options, our website design team have all the specialist skills and equipment to produce any website your desire. After an initial meeting we produce a website design proposal outlining the site objectives and design princples. An initial design is drawn up and revised until you are happy with the final outcome. 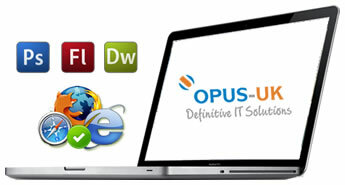 We take the finalised website design and build a fully functional website using valid XHTML and CSS. We upload your website to the internet, test thoroughly and set it live. With all our Website Design services, we give you the first years Hosting absolutely FREE!